Just wanted to say thanks for the great service. I purchased a audio coaxial cable and it arrived quickly and in great nick. 1.5m SCART to Component Video + Audio Cable (SCART to 5RCA) + FREE SHIPPING! 1.5m SCART (21-pin Male) to 3RCA Component Video cable with Stereo Audio support. Easily connect your SCART devices to any Component Video compatible product. As this cable supports audio, it is directional and thereby restricted to SCART output to a Component input. High quality Nickle Silver Plated Connectors. 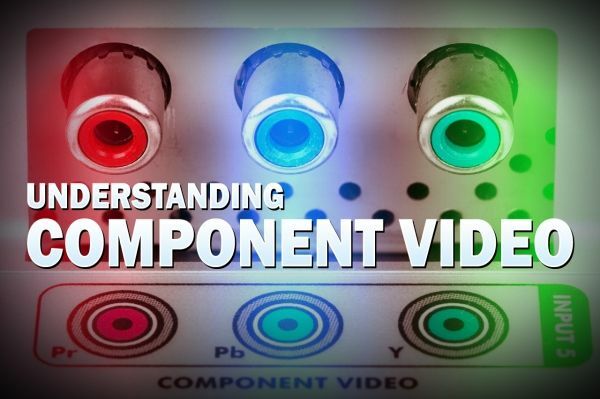 Component Video for the best analog picture quality. Colours: Black cable with Silver Connectors. Answer: "Currently we are only able to get these cables in 1.5M lengths. However we are currently in negotiations over which cables to start manufacturing in longer lengths. So we are planing to introduce a range of 2.5m and/or 5m cables, including SCART, over the next few months." Answer: "Yes it is fully compatible with Foxtel Digital and Foxtel iQ but not Foxtel iQ2 HD." Answer: "Assuming you are running a SCART to component (ie Foxtel box into a digital recorder) then this cable should work. It will not work the other way around (component + L & R Audio cable to SCART)." 1.5m SCART (21-pin Male) to 3RCA Component Video cable with Stereo Audio support. Easily connect your SCART devices to any Component Video compatible product. As this cable supports audio, it is directional and thereby restricted to SCART output to a Component input.